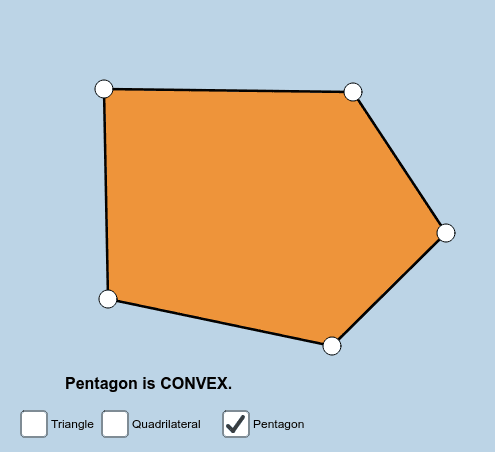 Any polygon that is orange is a CONVEX POLYGON. Any polygon that is blue is a CONCAVE POLYGON. Interact with these applets for a few minutes by moving the BIG WHITE VERTICES AROUND!